As I mentioned before, it’s been really hard to write at this conference. And you know what? It’s the first conference I’ve been to in a while where there was no cosplaying. Hah. Go figure. I may need to get back into the geek world. Although, I did meet someone who ran a LARPing camp, Wizards and Warriors. LARPing camp, however, doesn’t fully cover everything they do! It sounds super awesome! Yay for caffeine stories! Last night I meant to do the self-decaffeinating thing with my tea– steep for 30 seconds, pour it out, then re-steep– and immediately forgot about it so that it steeped for more like 10 minutes. I drank it anyway, because sleep is not for November. Hopefully Mel’s been getting to know some people from her new region too. And that we’ll eventually get to too. 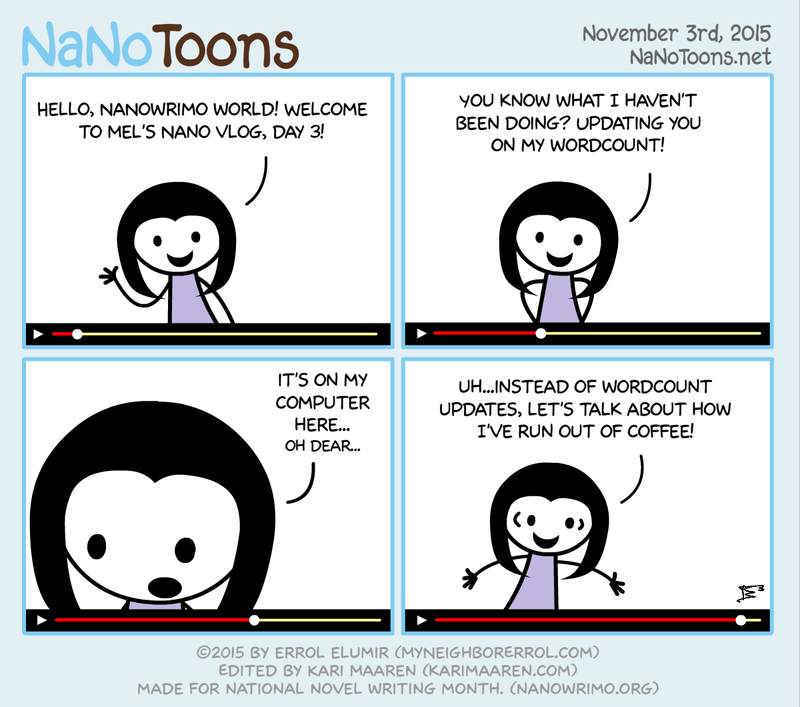 For the second year in a row, I’m actually not doing NaNo. *headdesk* So my wordcount is zero. And I hate it. Caffeine intake is as important a measure of progress as word count!